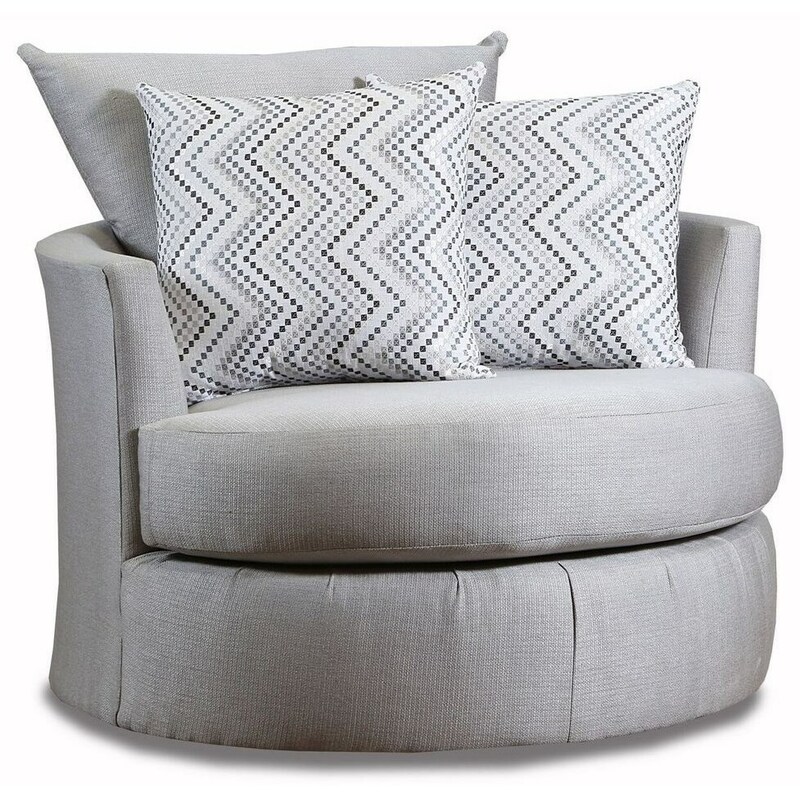 This contemporary swivel chair features a unique, modern style. The seat back is made up of loose pillows for a sink-into comfort. Use this piece as an accent or pair it with the coordinating sectional sofa from this collection. The 5500 Swivel Chair by American Furniture at Miskelly Furniture in the Jackson, Pearl, Madison, Ridgeland, Flowood Mississippi area. Product availability may vary. Contact us for the most current availability on this product. The 5500 collection is a great option if you are looking for Casual furniture in the Jackson, Pearl, Madison, Ridgeland, Flowood Mississippi area.